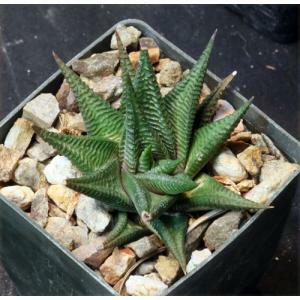 Haworthia limifolia is from northern KwaZulu-Natal Province of South Africa, and these plants are propagated from material originally collected near Nongoma (IB 702). 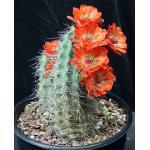 This variety is significantly larger than the typical H. limifolia. These plants are rooted offsets in 3-inch pots.